House Speaker Joe Straus, R-San Antonio, endorsed Steve Allison on Thursday to replace Straus in House District 121. Straus is not seeking re-election after representing the district since 2005. Retiring House Speaker Joe Straus, R-San Antonio, is getting behind a candidate to replace him in House District 121. 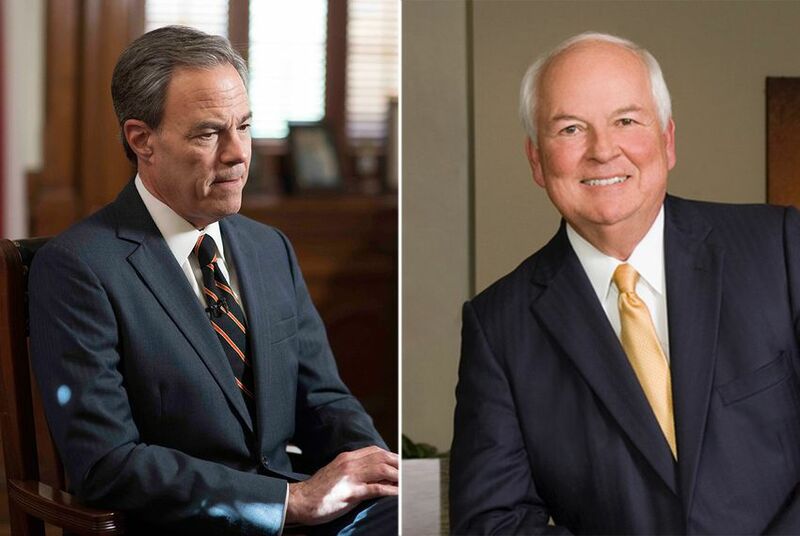 Straus on Thursday endorsed San Antonio business attorney Steve Allison in the May 22 Republican runoff for the seat, which Straus has held since 2005. He announced last year he would not seek re-election after a record-tying five terms behind the gavel. "I am grateful for the voters who have supported me through the years, and now we need you to vote for Steve Allison,” Straus said in a statement. "Steve is the one candidate in this race who has proved himself ready to serve in the Texas House. Steve is a man of strong character and sound judgment, and I have no doubt that he will be an effective voice for our community." Straus' choice in the race is not entirely surprising. Allison's opponent, Matt Beebe, unsuccessfully challenged Straus twice before, in 2012 and 2014. Beebe finished first in the six-way primary for the seat last month, getting 29 percent of the vote to Allison's 26 percent. Allison most recently served as vice chairman of the board of VIA Metropolitan Transit, San Antonio's mass transit agency. He previously was a member of the Alamo Heights School Board for a dozen years, including three terms as president.